The Army calls its jobs military occupational specialties, or MOS. Each of the MOS requires advanced individual training and specialization. Army jobs can be divided into two basic categories: those that participate in combat missions and those that support the soldiers who are in combat roles. The Army has around 190 MOSs available for enlisted soldiers. Similar specialties are divided into "branches" or "fields." Below are the Army enlisted job fields. Field 09 -- Native Language Speaker, includes only one MOS (09L), Interpreter/Translator. These soldiers are recruited for their native language abilities, and perform translation and interpreter duties in many foreign languages and cultures. The Infantry Field includes two Army enlisted jobs: MOS 11B, Infantryman or 11C Indirect Fire Infantryman (note that despite the somewhat outdated term, women are now eligible for these roles). Infantry soldiers train at Fort Benning in Georgia. Infantry is the oldest and largest branch in the US Army combat arms, with its soldiers trained to use small arms, anti-armor or indirect fire weapons such as mortars during combat missions. There are 22 enlisted jobs included in the Corps of Engineer branch. Soldiers in this branch help the Army and the nation in building structures, developing civil works program, working with natural resources, and provide combat support on the battlefield. These aren't jobs where you'll spend all your time reading blueprints and schematics; Corps of Engineers soldiers often conduct their work under combat conditions. The Field Artillery field consists of 8 MOSs. The Army's Field Artillery Branch is responsible for neutralizing or suppressing the enemy by using cannon, rocket, and missile fire and helps to integrate all fire support assets into combined arms operations. The motto of this field used to be "dropping lead from above" but it's become much more sophisticated in recent years with the addition of technology to complete missions. Air Defense includes seven Army enlisted jobs. 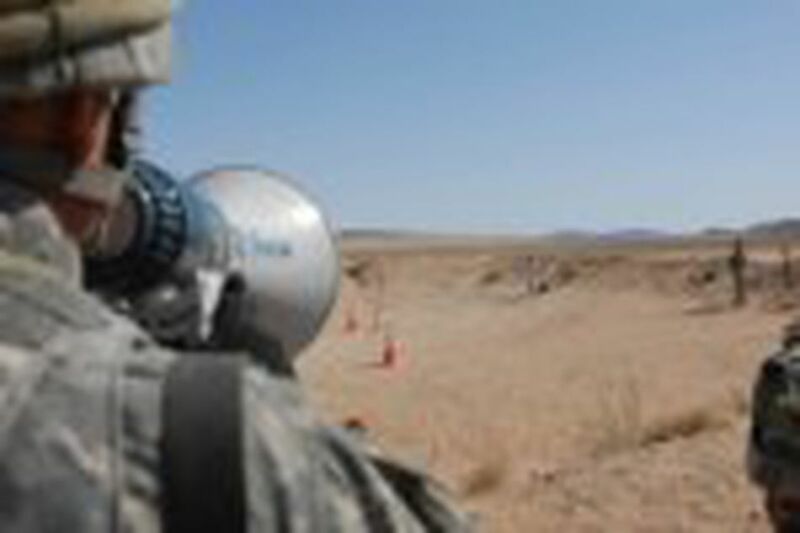 Soldiers in this field implement tactics, techniques, and procedures for the employment of air defense systems. These soldiers oversee and launch Patriot missiles and other artillery systems, and need a secret security clearance to be able to perform most of the jobs in this field. There are 21 Army enlisted jobs included in the Aviation Field. Mechanics, avionics technicians, and other vital skills are learned in this career field. Army flight training takes place at the Army Aviation Center of Excellence at Fort Rucker in Alabama. Cyber Operations Specialists conduct offensive and defensive operations to protect data, networks, and cause disruption to enemy network systems. Most of these jobs require 10 weeks of basic combat training and two phases of advanced individual training (AIT). Phase one includes 25 weeks of training in Corry Station, Florida. Phase two lasts 20 weeks, and takes place in Fort Gordon, Georgia. Famously known as the "Green Berets," Army Special Forces Soldiers are the elite of Army Special Operations. There are seven Army enlisted jobs included in this branch. To qualify, you have to pass the special forces assessment and selection course, then take the 18-month special forces qualification course. Special Forces soldiers are trained in a variety of combat skills including unconventional warfare, escape training, air operations, shooting, maneuvering and depending on the MOS, language training. The Army's Armor Branch is responsible for all the tank and cavalry/forward reconnaissance operations on the battlefield. There are three Army enlisted jobs included in this field. Soldiers in this field learn how to operate and maintain a variety of armored vehicles. Sixteen enlisted jobs make up the Army Signals branch. The Army's Signal Corps is responsible for all systems of communication for the entire Army. On every mission, communications and data management (handled by the Signal Corps) have become increasingly critical for the Army and its continued success. These soldiers are trained at the Army Signal Center at Fort Gordon in Georgia. There is only one Army enlisted job under this field, MOS 27D - Paralegal Specialist. They assist judges, Army lawyers and unit commanders with legal matters and judicial work. The Military Police field includes four Army enlisted jobs. The Army's Military Police are called into action for offensive operations, defensive operations, stability operations, and civil support operations. The Intelligence Branch includes 13 Army enlisted jobs, responsible for all intelligence gathered or learned during Army missions. Timely and accurate information is critical to the combat troops on the battlefield. The Finance field includes only one enlisted MOS, 36B - Financial Management Technician. Soldiers in this MOS are responsible for receiving and posting funding, commitment and obligations documents to accounting and budget systems. Field 37 includes 37F - Psychological Operations Specialist. A Psychological Operations Specialist can assess the information needs of a target population and develop and deliver the right message at the right time and place to create the intended result. It's similar to public relations, but with more psychological and cultural knowledge to back it up. The Civil Affairs field includes MOS 38B - Civil Affairs Specialist, soldiers who identify critical requirements needed by local citizens in combat or crisis situations. Being culturally aware and sensitive to the customs of the people in the region where you're deployed is a requirement in this job, and having knowledge of a foreign language is a huge plus. There are three Army enlisted jobs included in the Adjutant General's Corps, including band members and human resources specialists. There are three Army enlisted MOS's included in the Public Affairs field. The Army Public Affairs Specialist participates in and assists with the supervision and administration of Army public affairs programs primarily through news releases, newspaper articles, Web-based material and photographs for use in military and civilian news media. There is one MOS in the Field of Acquisition Corps: 51C noncommissioned officers serve as contingency contracting officers in support of a headquarters, principal assistant responsible for contracting, contracting support brigades, contingency contracting battalions, and/or installation contracting offices for training and mission support. Chaplain Assistants (the only enlisted MOS assigned to this field) provide support to chaplains during missions and everyday activities. A chaplain assistant primarily provides support for the Unit Ministry Team programs and worship services. The 24 enlisted jobs in the medical field provide medical care to members of the U.S. military and their family members. They include medics, pharmacy assistants, dental specialists, operating room specialists, preventive medicine specialists and even animal care specialists. This is an excellent way to receive training in a medical profession if you don't have a medical degree. The four jobs in the Recruiting and Retention field are responsible for attracting and keeping high-quality enlisted soldiers in the active duty Army, Army Reserves, and Army National Guard. There are nine enlisted jobs in the Transportation Field. The Transportation Corps is responsible for moving supplies, troops and equipment anywhere around the world the Army has a presence. There are three enlisted jobs assigned to the Ammunition Field. Ammunition, explosives, their components, and weapons are known within the Army as 'ordnance' and require proper care and handling. These are jobs that require a high degree of focus and attention to detail, and most soldiers in these roles need to qualify for secret or top secret security clearances. There are 10 Army enlisted jobs in the Supply and Logistics field. They are responsible for making sure equipment, materials and systems are available and functioning for missions. There are 16 Army enlisted jobs in the Electronic/Missile Maintenance field that are responsible for direct and general support (DS/GS) level maintenance on all electronic maintenance operations. See the complete listing of Army jobs (MOS's) available for enlisted Soldiers. If you are interested in serving your country, there is a job in the military for you and your skill set and career goals.